Contains entries from 31 new, worldwide authors, featuring more than 50 international contributors in total. Cary L. Cooper is based at Lancaster University as Professor of Organizational Psychology. 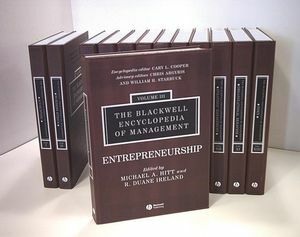 He is the author of over 80 books, is past editor of the Journal of Organizational Behavior, and Founding President of the British Academy of Management. Chris Argyris is James Bryant Conant Professor of Education and Organizational Behavior at Harvard Business School. William Haynes Starbuck is Professor of Management and Organizational Behavior at the Stern School of Business, New York University. Nigel Slack is the Royal Academy of Engineering Professor of Service and Support Management at Cambridge University and Professor of Operations Strategy at Warwick Business School. 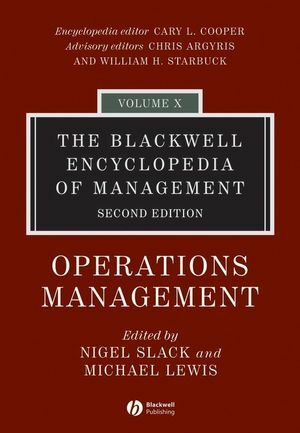 He is the author of many publications in the Operations Management area, including the market leading text, Operations Management (Fourth Edition, 2004) with Stuart Chambers and Robert Johnston, which has been translated into several languages.